When, in 1547, Henry VIII died, Elizabeth Tudor as a daughter of the late King came in line to inherit the throne (she was also in Henry’s will as an heir) and as such she became a very eligible young woman, while her step brother Edward (by Jane Seymour) became Edward VI. 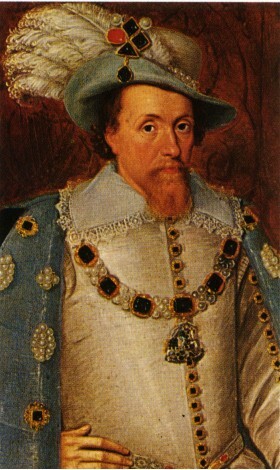 Thomas Seymour (brother of Jane) asked for Elizabeth’s hand in marriage. She refused outright, but all pigs being the same colour at the trough, both she and Thomas were suspected of plotting against the king. While she was questioned, though never charged, Thomas actually attempted to kidnap the boy king, was arrested and eventually executed for treason. When, after a mere handful of years as King, Edward contracted ‘consumption’ (possibly tuberculosis) it looked inevitable that the teenager would die without an heir of his own body and so the plots for his crown began. On the death of Edward VI in 1553, Lady Jane Grey, a descendant of Henry’s sister Mary, was proclaimed Queen by her father Henry Grey and her father-in-law John Dudley, who rallied armies of support. However Mary, (daughter of Henry VIII and Catherine of Aragon, another step-sister) rallied support and only nine days after Jane was proclaimed Queen, Mary rode into London (with her sister Elizabeth) and Lady Jane Grey and her husband were imprisoned in the Tower of London. Now Mary was in fact a catholic! When it was announced that the newly crowned Mary were to marry Prince Philip of Spain, (not only another catholic but an old enemy to boot!) she became extremely unpopular. The persecuted Protestants saw Elizabeth as their saviour, an icon of ‘the new faith’! After all, it was to marry her mother, Anne Boleyn, that Henry had instituted the break with Rome. Because of this, several rebellions and uprisings were made in Elizabeth’s name. 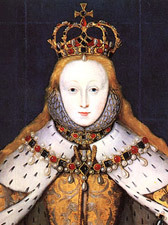 On January 15, 1559, Elizabeth I was crowned Queen by Owen Oglethorpe, bishop of Carlisle at Westminster Abbey, less than two months after the death of her sister Mary. The total cost of the celebrations, excluding the coronation banquet was £16,741, which would be somewhere around £3.5 m in today’s money. Like her predecessors, Elizabeth knew the importance of a good show, especially for a new monarch who needed to re-affirm her right to her crown. After more than ten years of family feuding and intrigue Elizabeth had survived and was finally, at the tender age of twenty-five, the Queen of England. Elizabeth Tudor, daughter of kings, nicknamed ‘Good Queen Bess’, ‘Gloriana’ and the ‘Virgin Queen’ who overcame so many challenges and threats at home and from abroad, went on to preside over what was later to be perceived as a ‘golden age’ in English history. 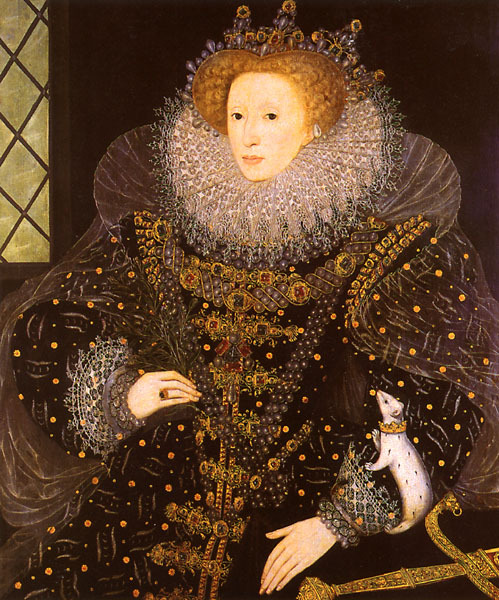 Queen Elizabeth I was the last Queen of England. She never married and when she died title passed to her Scottish cousin, James VI (of Scotland) who became James I (of England) at one and the same time, in what is termed the union of the crowns. Since 1603, monarchs have been the sovereign ruler of both England and Scotland and therefore the British monarch. To come : The current state of the British Royal Family! This entry was posted in The Evolution Of . 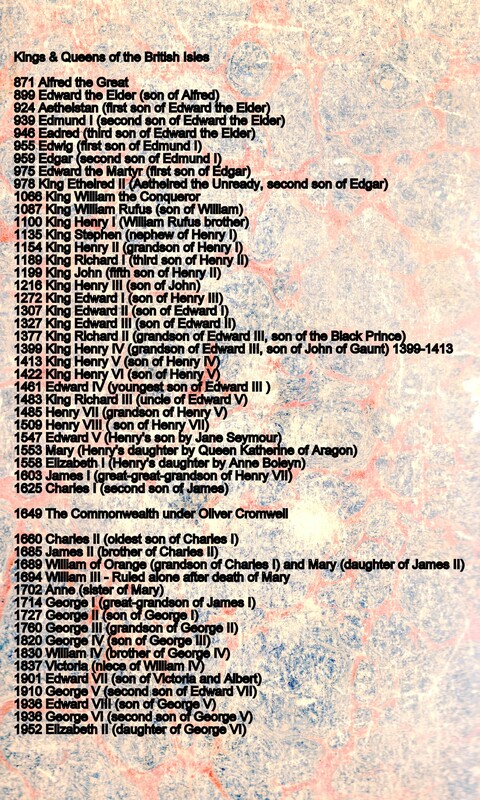 . . and tagged Elizabeth, history, Queen, Royalty, traditional. Bookmark the permalink.